Great shirts that look great on me! 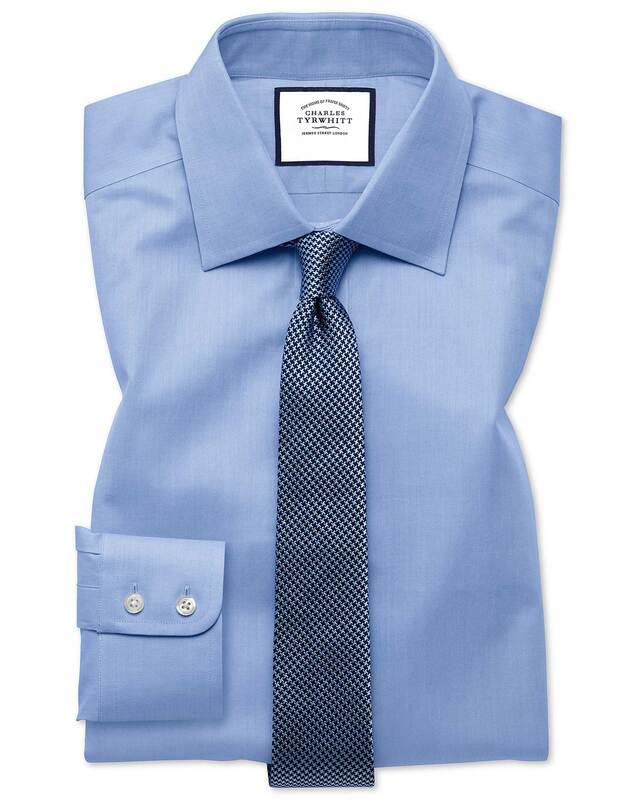 Response from Charles Tyrwhitt: One of the two shirts purchased here was part of the non-iron range, while the other was a 'regular' cotton shirt, so will show more wrinkles. Do be sure that the shirts are being washed on a light spin, at no more than 30-40 degrees C for best results. Removing the shirts immediately and hanging them to air dry is also best. If the shirts will not be suitable for you, however, you are welcome to return them to us under our no quibble guarantee using the Freepost return service. 6'1" 220 lbs and the fit is perfect.